Harvard Bioscience is a global leader in the manufacture and distribution of solutions to advance life science research. For over 110 years, we have served the changing needs of life scientists in over 100 countries. Our expanding portfolio of brands include instruments for organ and animal research, cell analysis, molecular biology, fluidics, and laboratory consumables. With more than 100 years of success and a proven track record of designing and manufacturing high quality reliable syringe and peristaltic pumps, we have the knowledge to recommend the right pump and accessories to suit any customer’s application. Our line of spectrophotometers, amino acid analyzers and microplate readers are among the most advanced in the world and trusted by scientists, doctors and technicians in hospitals and laboratories worldwide. A world leader in electrophysiology, electroporation, cell imaging, and cell fusion, we have the expertise and scientific depth to help our customers select the right tools, as well as the commitment to provide the technical support to help them succeed. We continue to develop the tools and innovations that are giving scientists the edge they need in this increasingly competitive world. Our expertise and years of experience allows us to provide the best solutions for the most demanding applications. World class surgical instruments, anesthesia equipment, temperature control products, physiological monitoring equipment, and cutting edge regenerative medicine products as well as the most comprehensive line of equipment for behavioral research. 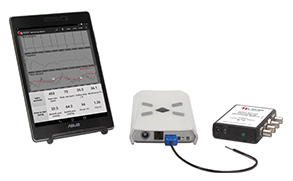 The Small Animal Physiological Monitoring System is an instrument integrating multiple physiology parameters on one single platform. The objective behind this new instrument is to provide superior monitoring results, while making surgery and other manipulations on small animals easier.